An Evening with Jeff Utrecht: Balancing Our Lives in a Digital World :: Methow Valley Schools • Every Student Shines! Join us Monday, March 25th at 6:00 p.m. when the Methow Valley School District hosts an evening with Jeff Utecht. He will be talking about balancing our lives and our children’s lives in a digital world that we all live in. 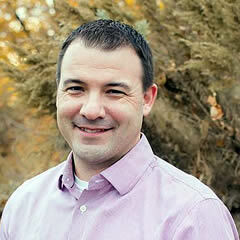 Jeff Utecht is an educational technology consultant, educator and author. He holds a Master’s degree in Curriculum and Instruction with a focus in Technology as well as his administrative certification through Washington State. Jeff began his career in the Elementary Classroom at a public school in Washington State. In 2001, he was the recipient of a Bill and Melinda Gates Grant called the Technology Leadership Program. Jeff has taught at International Schools in the Middle East and Asia. Moving from a classroom teacher into technology facilitator roles and administrative positions, Jeff began sharing his passion for learning via his blog The Thinking Stick in 2005. In 2007, he was invited to create an innovative conference focusing on learning and technology; the Learning 2.0 Conference was initiated. Jeff authored chapters in numerous books, worked as the educational consultant for a wiki company, and began speaking at schools and educational events around the globe. He has worked with politicians in Washington DC and participated in The Educational Project at the invitation of the Prince of Bahrain. In 2010 Jeff was invited to present at the first TEDx conference in Bangkok, Thailand. If you would like to hear or read more about Jeff’s work take a look at www.jeffutecht.com. We are excited to hear Jeff share his perspective and diverse background in connection to raising balanced children in a digital world. Please plan to join us Monday, March 25 at 6:00 in the LBHS conference center/cafeteria.